Many years back, I stepped through the doors of my first Mary Kay event, completely uncomfortable by what I saw. I thought it was me, since they appeared to be so close and having so much fun. I must have had “issues”. They were so happy and warm and huggy and supportive. I lived outside their world, and some part of me wanted what they had, while at the same time, I distrusted what I saw. As a child, I learned not to trust my own instincts. When you grow up in a crazy dysfunctional home, you pick whatever coping skill works for you, and denial and humor were working for me. By the end of the event, I was interested in the ca$h these gals were making, but the huggy stuff still freaked me out. Something just wasn’t right. For some of us, the Mary Kay environment initially looks strange and kind of juvenile, yet we are curiously drawn to it, and are suspect of it at the same time. Mary Kay looks us straight in the eye and says,”You are safe here! Safer than you have ever been. In dysfunctional homes, appearances are everything. Nothing is as it seems. Gambling addiction, violence, alcoholism, authoritarian dominance, sexual abuse, mental illness, religious abuse, and more are all a part of the list that characterizes, “dysfunctional”. Does anyone escape this? And today, psychologists report that 1 out of two families would qualify as living in a “dysfunctional” environment. If you come from a crazy dysfunctional home, you can function really well in Mary Kay. You are used to doing something for approval or attention or to avoid conflict. Since you usually are starved for attention when other family members have problems, anybody who throws you a dog bone gets strong loyalty and support. In Dysfunctional homes, sometimes you have to “raise yourself”, so being a strong “D” personality develops and you are used to getting things done without help. In dysfunction homes, according to The Counseling Center, at the University of Illinois, children “experience “reality shifting” in which what is said contradicts what is actually happening (e.g., a parent may deny something happened that the child actually observed, for example, when a parent describes a disastrous holiday dinner as a “good time”). In such cases, it is easy to see how a Adult child, with unresolved issues from childhood, could respond to the Mary Kay environment in complete comfort…denying that her finances are tanking while those in authority around her declare how great Mary Kay is and how much money is being made. Getting involved and participating in Mary Kay slowly woos your guard down. You can begin to get caught up in the hoopla, and goofiness of a business sororiety where your mentors are classy rich women who say they love and support you and can’t wait to see you at the top. You start to believe them. They are not your old life. They are faithful and true. They are women of their word… women of excellence who do the right thing, always, even to their own detriment, for the sake of honor and righteousness. The only reason you start doubting what they say, is that you start to see a few things that don’t quite square up. As long as you are doing what you are told, there are no indicators that something just isn’t right. But over time, the “pink bubble” begins to crack. Things like, a cross town Director who knows you are in DIQ, encourages her DIQ to recruit your customer. An inactive consultant friend that you know well, suddenly shows up in the newsletter as your Directors recruit, when you know she has no intention of doing the business. Your recruit is “tops” on the year to date sales leader list when you know she hasn’t held class one! You decide not to attend meeting for whatever reason, and the guilt call comes the next morning. The syrupy sweet Director is asking, “I am so worried…are you ill, because surely, you wouldn’t intentionally miss a meeting?” Those creepy feelings are coming back. You remember well how manipulation and deception sounds. Oh forget it…people are human. Your denial knows how to enter right “on cue”. At the guest event, you listen and wait and watch until all the photos with the National have been taken, and as you approach and introduce yourself, her brief comments to you make you realize YOU have been taken. A woman who manipulates you to be somewhere so she has “numbers” to impress her nsd, or who believes her nsd will speak and appear as if she really DID want to meet you, is taking a huge chance. She believes in her own twisted way that you will forgive her for the coercion for the sake of the motivational POP you will receive. Directors begin to believe that if they mimic their NSD, and do whatever it takes to “get people there”, all will be worthwhile. People who grow up in dysfunctional homes are very used to lying and manipulation. They are equally good at denying the impact of that manipulation and lying as well. They prefer to believe in a world they create, rather than the one they are living in. 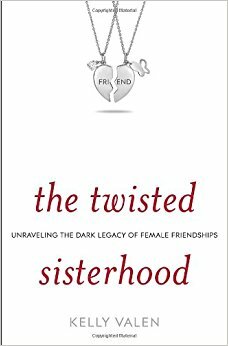 The twisted emotional manipulation that is used, by all those on the Mary Kay career path becomes an all too familiar flashback into childhood. We don’t like it, but we can do it. We can function with it. Directors lie to themselves and other Directors. NSDs rehearse the lies and scripts we are to tell our people. Everything is supposed to “look good” on the outside, so nobody knows what’s going on in the inside. That’s what positive mental attitude-never be negative behavior produces. Fostering a culture where truth can not be exposed or expressed is the hallmark of the dysfunctional, twisted family unit. Labeling “negative” situations or events as something to be stuffed inside, denied and ignored, is the power play of the abuser. Calling a deliberate abuse of credit cards, “achievement”, is the kind of reality shifting that is textbook dysfunctional. What we who are Directors know, that consultants do not, is that Mary Kay is a dysfunctional twisted sisterhood that pretends to be the savior of women. And to the degree that many American households have some kind of operating “dysfunction”, that will determine how comfortable you are within it…and how long you will stay before noticing how twisted it really is. As time goes on, you discover that your National encouraged a fellow Director to “put in the production” over and over, so that now she is facing bankruptcy-only the National shares that “so and so” didn’t work her business. The National does not want you to see any “failure” on the part of her mentoring. It has to be the fault of the Director. This is twisted. Your Director tells you to “find a way or make a way” as you face needing 3 more to finish DIQ on the last day. You humiliate yourself begging friends and family and finally make deals to activate them. You kick in 3-200’s plus agreements, and your Director praises you on Monday night in a big celebration. This is twisted. The company finds out that prominent NIQ’s and Top Directors have a scheme that gets large orders in, and reach large Unit Production goals by less than ethical means. They not only get to receive their “honor” they get to speak before a Seminar full of bright-eyes believers and completely distort the truth. The music plays as they walk off stage and the crowd is asked to give them one more round of applause! This is twisted. The corporate staff discovers that agreements and orders go in by people who have no knowledge an order is being placed, and they do nothing to alert or change the system, while acting incredulously that such a thing goes on. Why? Because Corporate wants the production. This is twisted. What is even more twisted is it takes a detoxification process before you begin to REALIZE just how many distortions and lies you have been told and have repeated. You have to be de-toxed from a company that works SO HARD to convince you how righteous it is, all the while lying through its proverbial teeth! You were wooed into a culture than promised to fill your greatest need, and kept you in, by your greatest weakness. Denial. Those of us who have experienced the path of dysfunction are able to stay in Mary Kay long past all warning buzzers going off. We can pretend. We had to, to cope. And we are completely comfortable with chaos and madness behind the curtain, while we smile and sing and make all kinds of appearances that all is well. Mary Kay Cosmetics is a sophisticated and honed, multi-level marketing scheme, which has used recognition and praise to coerce women into pursuing the satisfaction of their deepest needs of stability, security, friendship and appreciation, while denying the financial wreckage that is created in the process. Mary Kay uses manipulation and blameshifting to clear their own company of wrong-doing while employing National Sales Directors and Directors to drive the production orders by which it financially survives. Mary Kay promotes a culture of secrecy concerning full disclosure, under the guise of being “positive” and avoiding “negative” thinking, which traps women into destructive patterns of financial entanglement and guilt. Further, Mary Kay promotes the use of Spiritual manipulation to create the illusion that Mary Kay Cosmetics can be trusted. Mary Kay is a sheep is wolves clothing. And ladies… that’s twisted. Stunning… I am almost speechless… OUTSTANDING!! Very well written piece. I can definitely relate to this. Bravo! A sign of the times–Linda Toulon is bragging about her Director doing 500K retail and how she’ll be on a marquee in Times Square. So, now they’re rewarding BELOW Trip level with that kind of honor? She probably grossed $57,000 in commissions based on 250K wholesale. Take out taxes and her expenses, and we’re going to brag about that in Times Square? That’s $43,000 after taxes. Before expenses. Really? That should say Toupin. Sorry. I listened to her “Choices” tape years ago and was turned off by a reference to her having “moved on” while her teacher friends were dealing with the same issues as they were years ago. (Maybe not the exact words used, but I remember the point that was being made.) Sorry, but I’ve known more teachers who have enriched women’s (and men’s) lives than MK people. Outstanding article! I’ve never been in an MLM, but this site is my new healthy addiction. Before expenses, she’s only making about $22/hour. It shows how badly everyone is doing when they’ll perch a Director at that level up in NYC. I remember that. “Moved on” to what? It is somehow better to endlessly appear at guest events, repeating the same I story, in the hopes of motivating women to cough up their credit cards? That’s your impacting new career that is so much better than teaching?? OH! The MONey! Yeah that’s right…move on to big money…which is skimming your commissions off new recruit start up inventories and Career path consultants trying to keep on target/cars/units. Yeah great job. You grow rich on their ever growing debt. Keepin’ it classy, Linda! There isn’t a set standard for the ny times square. It’s if your unit improved a certain % over last year. Has to do better than last year. Maintain or less does not get you in times square. So it doesn’t matter if you’re a circle of excellence or not. Really? Even worse! So, potentially someone not even doing a unit club could make it up there? Never in a MILLION years would that have happened 10 years ago. In 2005, only INNER CIRCLE NSDs were featured. And they had $300,000 in commissions! My director said we needed to do 650k for it this year. We were at 600 on June 1st. She did 650k the year before last though. I think it might be that you have to do the next unit club, but I’m not sure. She isn’t focused on us hitting the times square thing, so she didn’t go super into detail, just that we had to do a certain % higher than last year and that for us it’s 650. I know that in today mlm, 300 is not alot for commissions. In other makeup direct sales, their top people are making 7 figures. 84,000 a month. After being in a year. Different comp plan. If the Direct Sales company is an MLM (and I don’t know of any that aren’t), only their tippy-tippy-top 1/100th of 1% – or fewer – are pulling in 7 figures of real take-home cash. All the rest are faking it by throwing around a 6-figure or 7-figure amount of “estimated retail sales” or something similar. Actual commissions are a mere fraction of that. It adds to the fakery when a Director says you have to “do” 650k, or any other number. Not sell 650k. Not buy 325k. Not have shows, get orders, or deliver merchandise. Oh no. They’re going to keep it very vague and “do” 650k of “estimated” retail, including all the double-credit months where they “did” 30k and were credited with “doing” 60k. It compounds the fakery when they leave the dollar signs off, so their 650k fake accomplishment is somehow detached from the real money on your credit card bill. Yes, their top earners are making 7 figures, before taxes of course. They don’t run with inventory, like mary kay. People are amazed by the inventory we are pressured to do. Don’t believe any income statement unless you see their Schedule C. MLM’s are notorious for inflating income potential and showing only display “checks” that do not show chargebacks, deductions, expenses and in some cases, commission payments to downlines. Nope. Do not EVER believe it. Your Director wants to do 650K retail because that’s the Top Director Trip, not just because she wants an increase. Doesn’t sound like she’s telling everyone the full truth. It’s all about her! I presume that if she goes on the trip Mary Kay will send her a 1099-MISC for the “value” of that trip. Right? Any idea what dollar value Mary Kay places on the trip, then declares to the IRS as non-cash compensation? Fake award for fake accomplishment. Real tax bill. Sorry, i was wrong about the times square. It must be half million plus a hugher unit club than the previous year. We have been top trip unit before, she doesnt really care about it this year. We did 600k last year, and 650 the year before that. We will finish this year at 600 again. As for the schedule c, yep ive seen them. Every month for the past 2 years i see her checks, and i see her taxes as well. Shes my sister. Her company doesnt have chargebacks like mary kay. She started there 3 years ago, and after little under a year, has been making over 84k every month. Of course she pays taxes. But way different pay schedule than mary kay. She worked her tail off that first year, believe me. 80 hrs a week. She works less now, but she is really there for her team, and i admire her. I just love the mary kay products. Signed up for the discount. My sis thinks the inventory packages are such a red flag. But anyway. Well again, sorry about the times square mix up. My director never mention half million neededing to be a requirement, just that we had to do 650 this year. I only saw it now on intouch and came to tell you. My director has totally lost it IMO. Our unit started June with a little less than $500000. She wants the top director trip. So she’s pushing for $150000 in a month. From a unit that has like 15 women really working. And about 5 that are doing fairly well. She’s like it’s not about recruit and inventory orders, except this month. I’m in Mary Kay because I genuinely needed a product to offer my style clients. I almost got sucked in to the culture, but my friends helped me keep my perspective. Now I’ll be going to seminar to soft market my styling and confidence coaching services. Soft marketing your styling and coaching services is the last thing Seminar is about. Seminar is about recruiting and inventory orders, and making you feel pumped up to do more of those, or guilty that you didn’t do enough. Period. And it’ll cost you about a grand to find that out. There are much better ways to spend that kind of money. Isn’t there any product line other than Mary Kay which you can offer your style clients? I know salon products are expensive, and Mary Kay is too, but the difference in quality is tremendous. You definitely don’t get what you pay for if you’re buying Mary Kay, at any price. If that’s truly why you’re going to ‘soft market’ your services, stay home. 99% of the women who are going are broke. And the other 5% won’t talk to you–they’re too important. But of course, very very very nice, in an insincere way. 150K left to do trip is $75K wholesale. Seminar will be a waste of your time because you won’t get to spend quality time in conversation with anyone but your roommate. It’s expensive, hot, and will be worst days you spend probably this whole year. MK Ash was right about one thing only: Chasing 2 things at one time makes you lose focus because it’s diluted. Chase your styling business and send your MK inventory back. Use that refund money to get your other business going. Your style customers will surprise you that they don’t want a brand like MK. They’re Sephora or counter girls all the way, I can assure you. Oops 95 and 5% … whatever. It’s not a good reason to go. Ever notice how many handbags are offered as prizes? I watched a ESSD’s video. She held up a “designer bag” she was offering in a contest. She even said where she got the bag. She “earned” it from MK. So, here’s your chance, ladies. YOU ordered a bundle and spent your own money so SHE could earn that handbag. Now, you can order and spend even MORE money for a chance to get that handbag passed along to you. Of course, if you’re a SD, and you end up with that bag, you can hold your own ordering contest and give that bag away…. …those handbags sure do get around.